Aponi Patterson has been assisting for 4 years here at Liberty Dental! She is a friendly and familiar face to many! Aponi is originally from California and graduated high school in 2001. She started off working as a front desk receptionist for Dr. Cameron and then was trained to be her dental assistant. This was her very first dental assisting job! 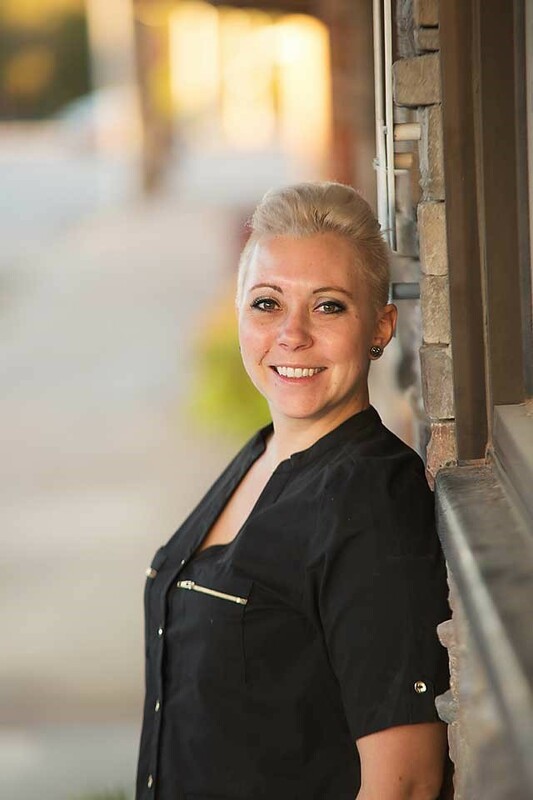 Before working at Liberty Dental, she worked in construction and building cabinetry. She is married to Trent and they have a beautiful daughter named Lily. Trent is a medic for the US National Guard and that is why they moved here originally. He is now a police chief in Cement. Aponi enjoys road trips with her family. Her favorite road trips are going to California to visit family, always taking different routes to see different friends. Her husband and daughter regularly compete in National Powerlifting competitions so that keeps her pretty busy! She enjoys the personal relationships with her patients here at Liberty Dental!